Enchanted Forest Metal Sign For Gypsy Fairy Gardens. 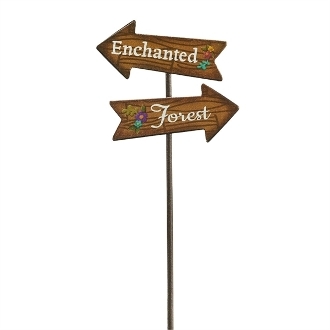 Full Description: This way to the enchanted forest! This magical sign is made of metal and features all-weather paint.